Chatham Memorial Synagogue is home to an independent traditional community which welcomes Jews of all denominations. Although we are a small provincial community with limited financial resources, we hold regular services for Shabbat and festivals as well as social and cultural events. Margate Synagogue in Cliftonville holds services every Shabbat and on the principal Yomim Tovim. Being a seaside town, Margate attracts a large number of visitors, including Chasidim who use the synagogue for their own services during the month of Av. Kent Liberal Jewish Community - Ohel Rachel (KLJC) is part of Liberal Judaism. We have around 50 members living all over Kent and hold monthly services in Maidstone. We welcome all Jews including those with non-Jewish partners and those who are Jews by choice. Canterbury Jewish Community consists of members from all Jewish denominations and holds a number of social events each year. 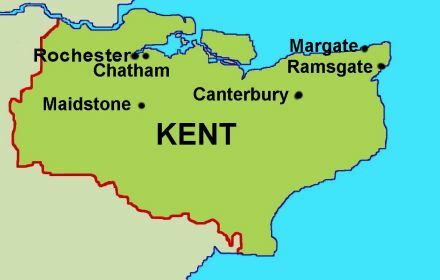 Many of its members also belong to one of the other communities in Kent.